Our cultural cringe carries on regardless, of course. But it becomes just that little bit more palatable when we take a British television idea and make it our own - even possibly better. 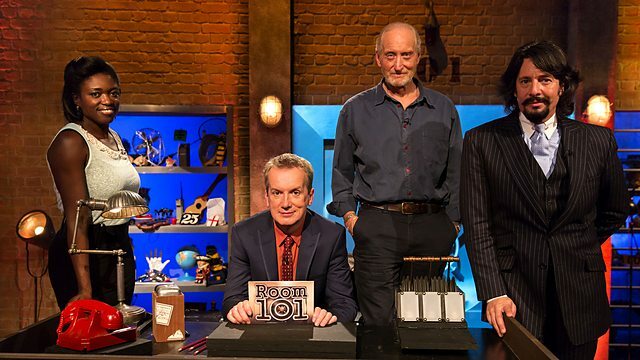 I'm hoping that will be case with Room 101, the Australian version of which debuts on SBS next Saturday night. In our case, we have taken the typewriter out from the darkness of a back corner of the set, modernised it and put it front and centre. In the SBS show, it is an Olivetti Studio 46. It appears very prominently in each episode. 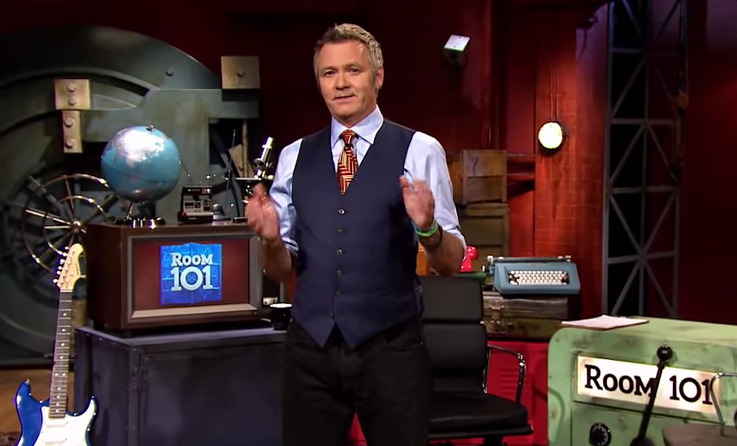 The Australian Room 101 is hosted by comedian, writer and artist Paul McDermott and, just as in Britain, celebrities discuss their dislikes and pet hates. 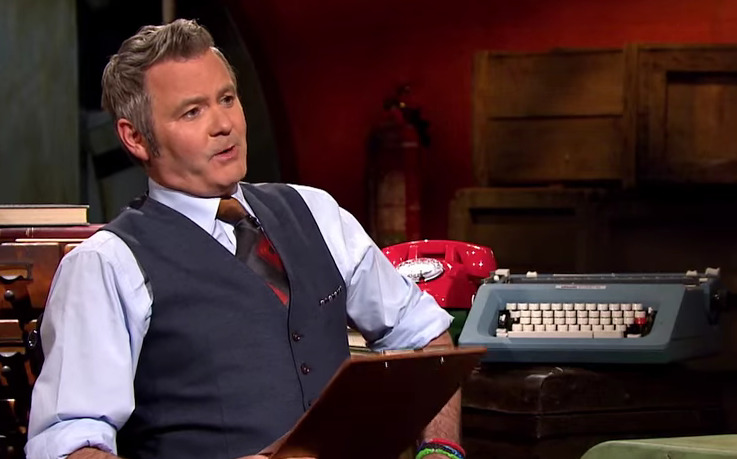 Which, naturally, puts me in mind of another British show we copied fairly successfully, Grumpy Old Men (the British version of which featured such typewriter-using celebs as Will Self and the late John Peel). 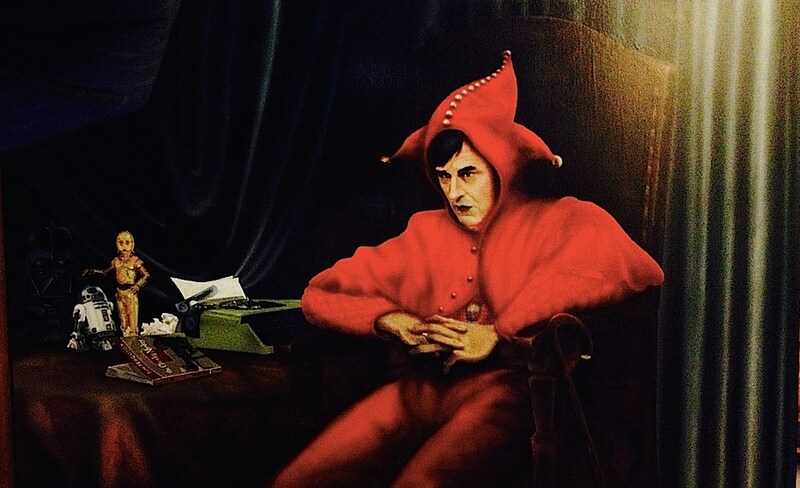 At least in that case we changed the name to Agony Uncles (there were also Grumpy Old Women and Agony Aunts)*. But sadly, as with the Australian grumps/agonisers, our Room 101 will simply be an excuse to once more wheel out all the usual suspects: the decidedly unfunny Dave Hughes, Nazeem Hussain, Julia Morris, H.G. Nelson, Poh Ling Yeow et al. As utterly gorgeous as Julia Zemiro is, she's in grave danger of TV over-exposure. People in this country used to complain that every second ABC show featured Stephen Fry - now two out of every three shows on ABC and SBS is hosted by Julia. 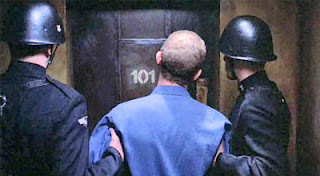 Anyway, getting back to Room 101, which takes its name from the torture room in the George Orwell novel Nineteen Eighty-Four, and which apparently contained "the worst thing in the world". 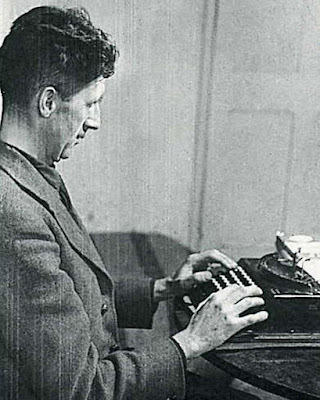 Orwell named it after a meeting room in Broadcasting House in London, where he once had to sit through tedious meetings. The British version has been airing since 1994, with 13 series to date, but I can't say I've ever seen it on Australian TV. *The man behind Agony Uncles/Aunts, cricket tragic Adam Zwar, says he is often asked the difference between his “Aunts and Uncles” and the Grumpy Old Men and Women series. “Grumpy is commentary and this is confessional,” he said. “People have an appetite for confession and that’s what this show is about.” It pretty much seemed like the same thing to me. Is Typewriter Collecting a form of OCD?